Last year Lia Gilmour, a Bristol MSc student, made numerous trips to Bedfordshire in an attempt to catch Bechstein’s, Regular readers will know she came up empty handed. The weather last season was dreadful and we really wanted to try again this year – hoping that the weather will be better this time round. The Bat Conservation Trust has very kindly offered us a loan of a harp trap and lure so we can have another go this season. 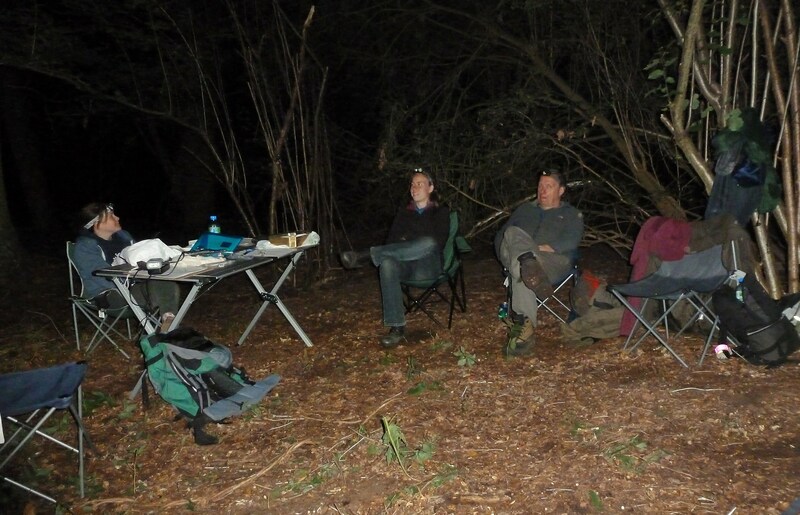 Hopefully the team of mad bat people who sat in dank woods last year will be wiling to come out again as we have another go! As you can see it is very hard work sitting in a wood eating cake! This entry was posted in Uncategorized and tagged acpustivc lure, Bechstein's survey. Bookmark the permalink.